If anybody knows me, they know I love gear. 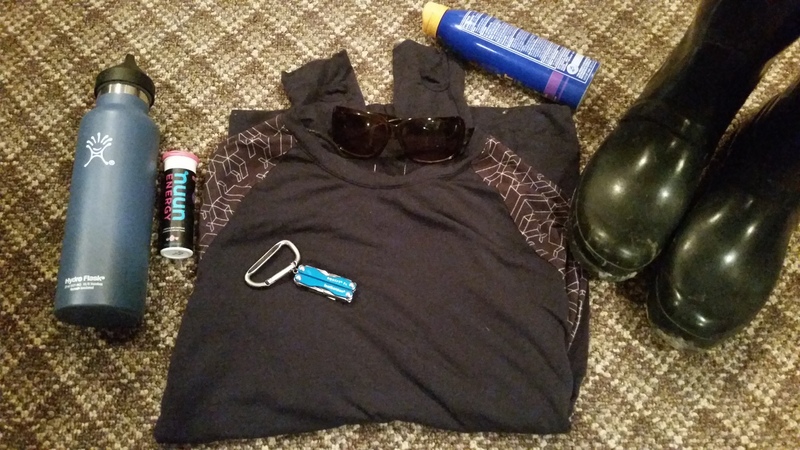 I have all sorts of apparel for every activity, cold weather, warm weather — you get the idea. I try to always be prepared. 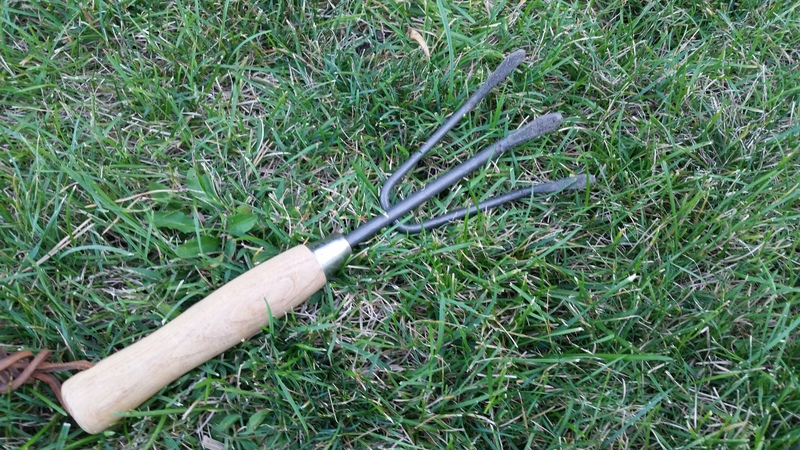 Besides the right garden tools and equipment, you must also have what you need to make the most of your garden session. So, I am showcasing a few of my favorite things that I have had for a while, or I have treated myself to. None the less, they are all used to their fullest potential. Here’s a glimpse into the gear I will wearing/using as soon as the snow melts! 1. Water Bottle— It is very important that you have a water bottle with you at all times when you are gardening. It’s hard work, and you must be hydrated just like any other time of the day. I really like this water bottle from Hydroflask because, even when I keep this bottle out in the hot summer sun for hours, I can open it up and drink ice-cold water. The same can be said for warm beverages as well. Something tells me coffee will be going in here for my spring gardening this year with the cold temperatures we are dealing with in the Northeast US! 2. Electrolyte Tablets — You expend a lot of energy when you are pushing, pulling, weeding, digging, etc. I buy Nuun electrolyte hydration tablets that give me the little boost I need through my workouts and gardening. Made for endurance athletes, I can honestly say gardening goes into the endurance category! 3. Utility Knife — How much more can I really say? I have had this Leatherman utility knife for a few years now, and it has helped with everything from fishing to camping. It’s amazing what this little thing can do for your garden as well! 4. Wool baselayers — I love baselayers. This was a birthday present to myself. Wazzie Wool from a small women’s running apparel shop called Oiselle. It’s quality merino wool that did it’s job for me the other day when I didn’t have time to change after my workout at lunch last week. I got super sweaty, but did not end up getting cold like I usually do. This will be my go-to baselayer for early spring digging and raking, that’s for sure! 5. Sunglasses/Sunscreen — Even though it’s early spring, you still need to put your sunscreen on! It’s amazing how sunburned you get in that cold, but bright, spring sun! That goes for your eyes as well– protect your peepers with sunglasses! 6. Rain boots — Need I say more? These are a garden staple, and you must purchase a pair right away if you haven’t done so! This is just a small list, but I could go on. I have plenty of things I have collected over the years for exercising/outdoor activities that could be used for yard work. 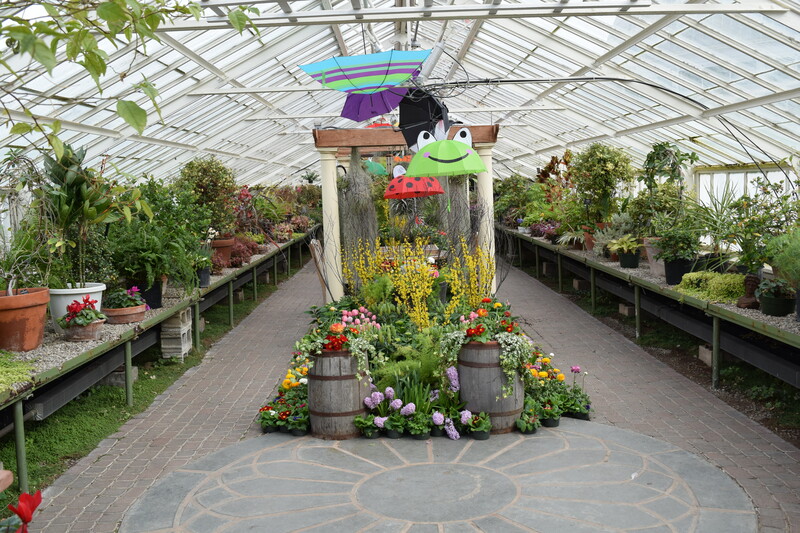 Stick to the obvious choices and you won’t have to say you had a bad day in the garden! 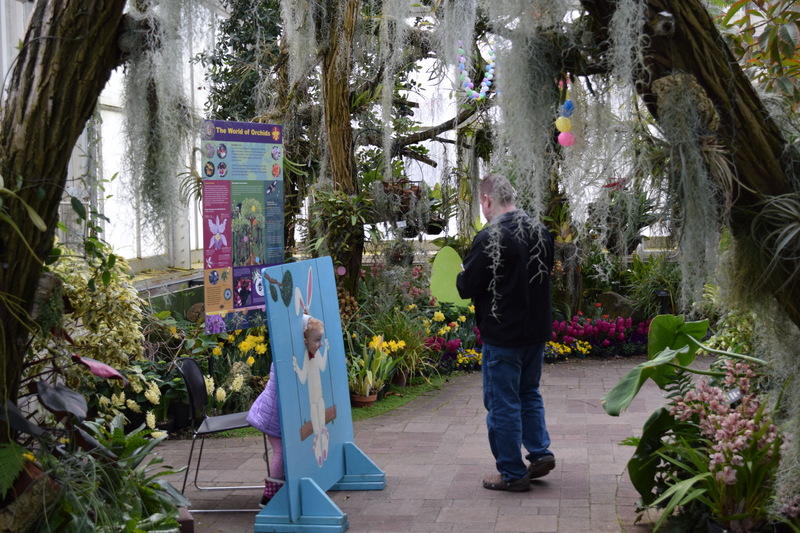 Easter is right around the corner, and my husband and I took our daughter to the Buffalo and Erie County Botanical Gardens this past weekend to see their Spring Flowers show, along with the Easter Bunny and Farmer Brown’s Animals. 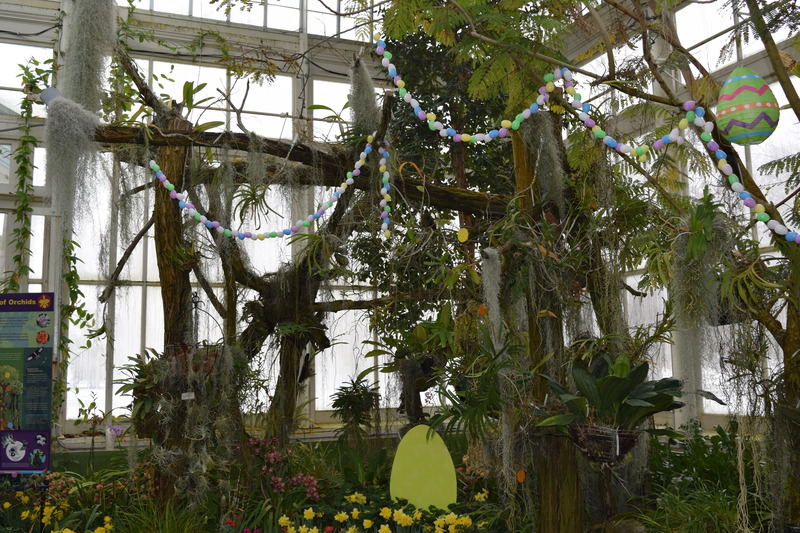 The Botanical Gardens were so beautiful and I couldn’t wait to use my new camera. Enjoy. So, this has been a post I have been milling about for some time. I really don’t know much about pruning myself, and I wanted to give this long, thought out post on Pruning 101. Well, I don’t have to, so I am not going to. After consulting with family, friends, co-workers and researching the heck out of the subject, I finally have an understanding on what pruning really is. It’s not that hard, it was the fear of the whole darn idea that was clouding up common sense. I am going to make it as plain and simple and clear as possible, I promise. Wait to prune this pretty tree in the fall! First of all, what is pruning? Pruning is when one decides to clear out or remove undesirable, unruly branches from a tree or shrub. Or, if the tree/shrub is overgrown and needs a “haircut”, so to speak. 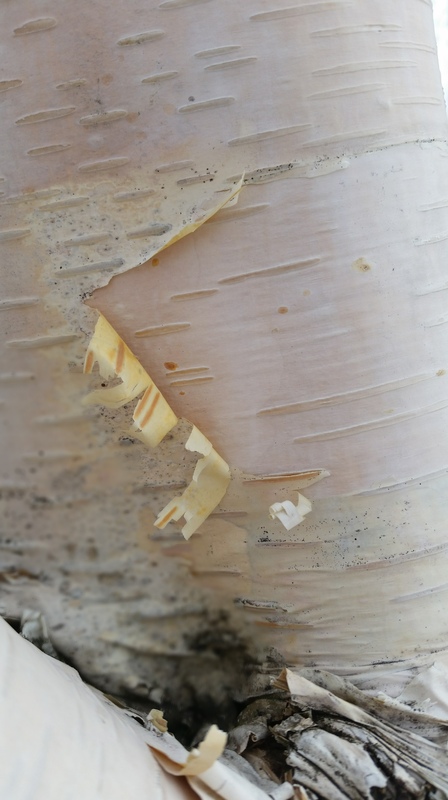 Most trees and shrubs get pruned in the early winter or late spring. This is when you can actually see the shape of said tree/shrub and you can make it look nice and pretty. Be careful not to cut too much back on certain trees/shrubs. It may never come back to the way you want it. Pruning is pretty much trial and error. I have pruned a few things myself, and some things have managed to be just fine, while I lost a few things. And sometimes I wonder if it wasn’t the winter from the previous year that didn’t allow them to come back. Nevertheless, just be cautious and wise when pruning. Just be common sensical and keep the two above bullet points in mind when you decide to go ahead and starting whacking the heck out of your bushes! Now, the only exception to all of this that I have stated above is winter damage. 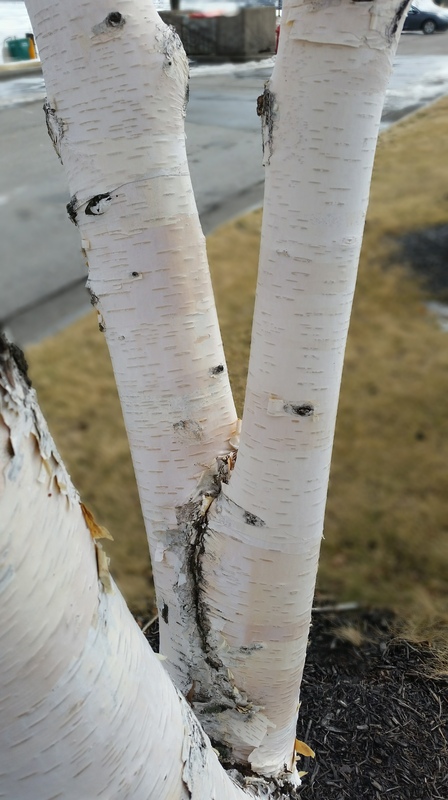 If you have damage to your spring bushes/trees from this brutal winter that we Northeasterners have endured this year, then, by all means, remove the damage and just wait to see your plants bounce back, even if it takes until the next growing season. Yesterday, I took my first walk down by the water through Erie Basin Marina in the Buffalo Harbor. It was so nice to get out on my 2.25 mile walk again! 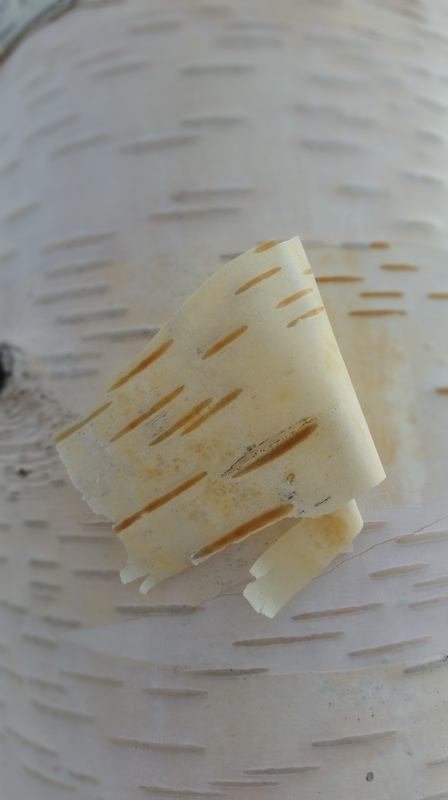 I love these paper birch trees that line the marina. I wish my yard was big enough to plant one! If you have room, consider including one of these excellent specimens to your landscape. Enjoy. 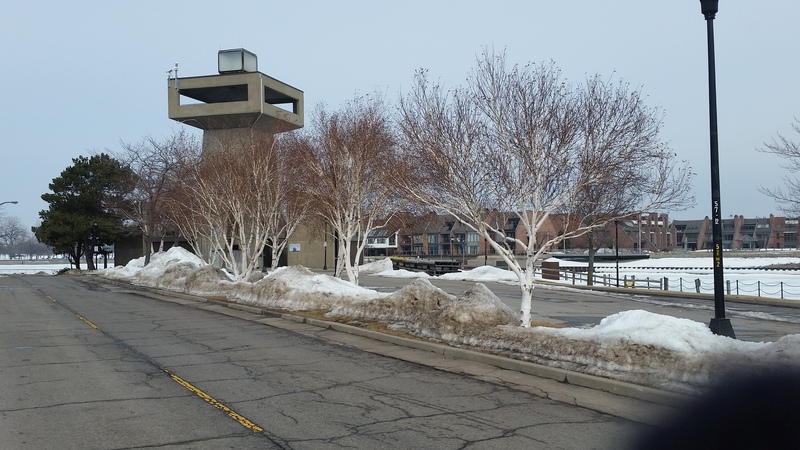 Birch Trees by the Coast Guard Lighthouse at Erie Basin Marina. Wow! Time flies when you are having fun, right? My family has some excited things planned in the next few months– all home and garden oriented! 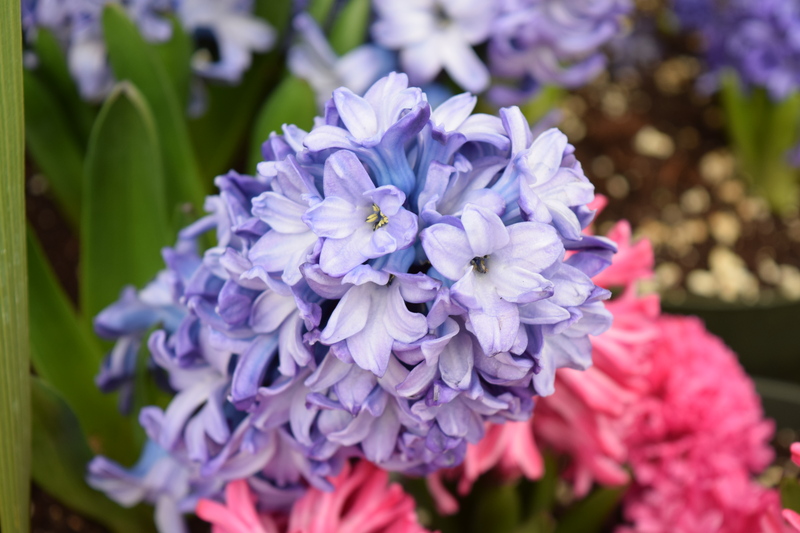 It’s officially Spring on March 20– what do you have planned for your garden? 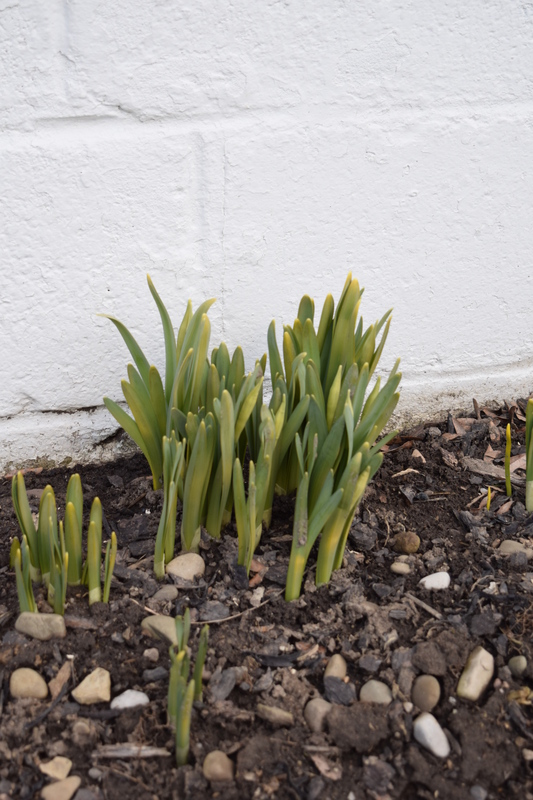 The daffodils at my neighbor’s house are coming up– a great sign! The more important question is– do you know how to plan? Here are a few quick and simple tips on optimizing your garden this growing season! Plan on getting plants, shrubs, trees that will accommodate the size of your yard. If you have a very tiny yard, you wouldn’t want to plant a tree that at maturity could be over 80 feet tall. Go to your local nursery or greenhouse and talk to an expert there that could help you with choosing plants, trees, shrubs that will fit your space. You want a happy balance with anything you plant! Be dynamic in your garden. When designing a layout for your garden, make sure you add taller and shorter plants, as well as some ground cover. You want your garden to have “layers”, to make your landscape look “interesting”, kind of like winter interest, but for the warm months. Aesthetics are just as important in the garden as they are anywhere else! For example, plant a dwarf plum tree with daffodils and sedum (I’m just thinking of the different layers, so these are just my examples off-hand. There are many choices). Be aware that you are planting shade plants and full sun plants in the appropriate places. 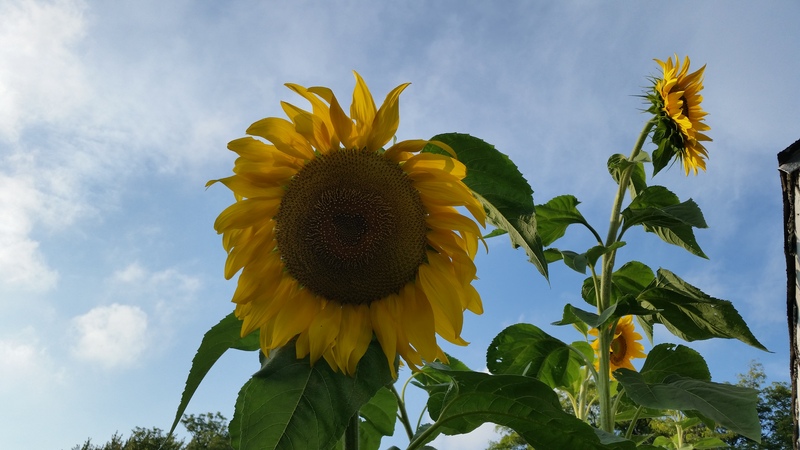 Think about dynamics in the seasonal sense– if you would like to plant-based on what blooms during the spring, summer, fall — so your beds are always blooming. 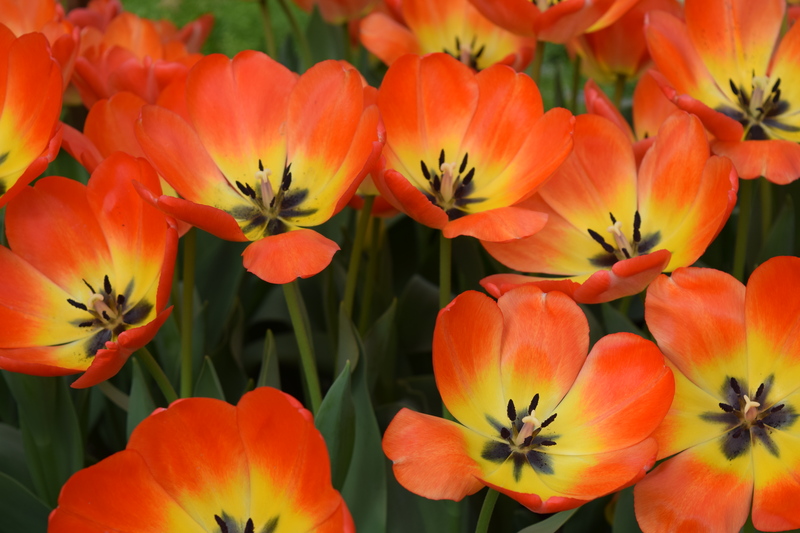 I know I made this mistake a few years ago by planting a nice bed full of tulips– well, what happens after they are done blooming? Thinking about these things now makes it much easier later! Start a garden journal and sketch out what you would like your landscape to look like, and what you would like to plant. The off-season is the time to research plants and find the right ones for your hardiness zone. Enjoy the research/design process, it’s a time of enlightenment and discovery! You will see so many beautiful plants and different ways to design your yard, you won’t know where to begin! Those, my friends, are GOOD problems. My husband decided to upgrade our little 10 gallon fish tank to a 20 gallon fish tank this past weekend. 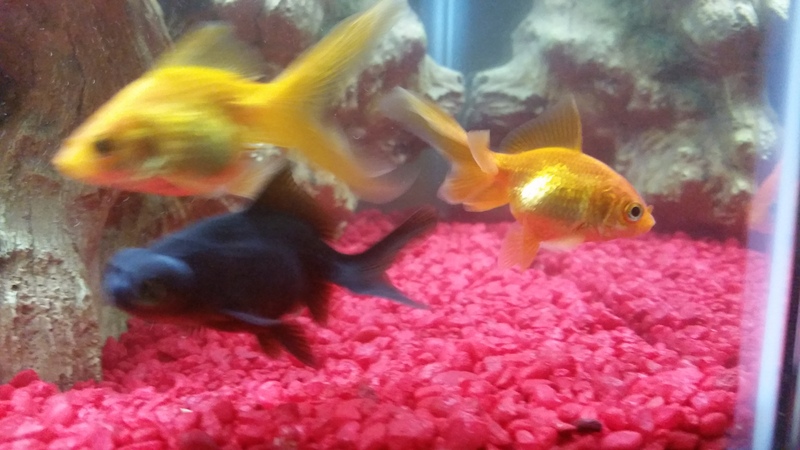 We went from two little goldfish to adding six more! We now have eight fish and it is so calming to watch and hear the little fish tank hum with life! Enjoy. It was a beautiful sight today– the sidewalks are melting and turning into puddles! I managed to take a small walk on lunch today just to get outside for the first time in almost two months! 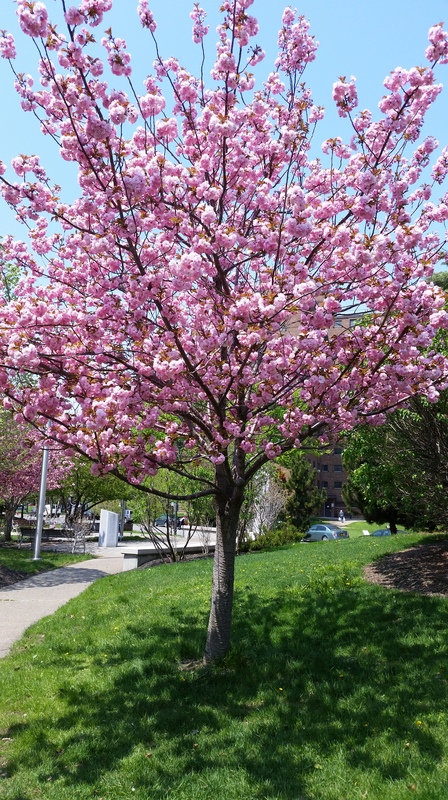 Before we know it, the blossoms of spring will be in full bloom! With spring a little under two weeks away, the time is NOW to get ready for the new season! Seeds are purchased or have been started. 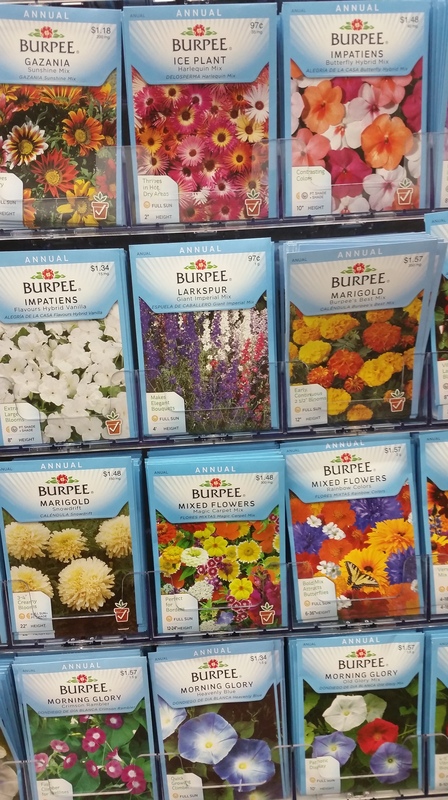 One of the cheapest ways to garden is buying seeds! Or, if you have collected seeds from last fall, you are ready to roll! If you purchased them last month to force growth, this is the time so they are ready to head outdoors. Get the tools you need. In one of my first posts, I outlined the basic tools you need to get growing. 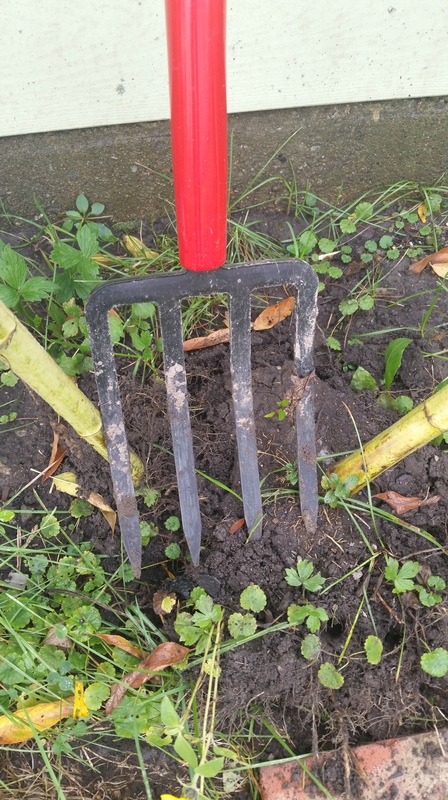 A trowel, spade, shovel, cultivator and rake are the most common and readily available for you. Simple and basic. And practical! Get a wide-brimmed hat. Even the sun in spring can burn you just as bad as in the middle of summer! Protect yourself and get a good hat and some sunscreen. Purchase a pair of garden gloves. As I have said in the past, when doing any garden work, I recommend purchasing a good pair of garden gloves. You can pull weeds MUCH easier than with your bare hands. Knee pad, baby! Knee pads are a savior and rock my world! I even use them when I have to clean the cats’ litter box! A good bucket. A good bucket is worth its weight in gold when it comes to carrying your tools and other yard rubbish around! A bigger investment, but no less important — a wheelbarrow. This was the first thing my husband and I purchased after we got married! They are not too expensive–but again, worth its weight in gold if you want something a little bigger than a bucket. If you follow these tips than you will be sure to kick off the coming growing season in the right direction. Please feel free to share any other tips you have that will be handy this spring! Snapping away with my new camera during another snowy weekend, my interest was piqued by this tree that sits next to an icy cold Niagara River. What’s wrong with this picture? Enjoy. Disclaimer: This blog post is extremely general advice when it comes to exercising. I am not a doctor or fitness expert, but these are the exercises I have been advised to do over the years and think they are universal enough for everyone to try them. Please consult your doctor before starting any exercise program. Warm weather is right around the corner! Yet another birthday has passed for me. I celebrated my 35th birthday yesterday. Unfortunately sinus problems have been plaguing me since Thursday, so unfortunately all of my plans were put on hold. Still not feeling so hot, I didn’t get much of a chance to finish up another post I wanted to do today, but that’s ok. I thought this topic was rather appropriate and relevant for the buildup to breaking ground that first day of the new growing season! Yes, as I laid in bed most of the day, I could hear winter’s grip loosening all around me– icicles dripping, streets are clear/slushy, and it’s a balmy 28 degrees! 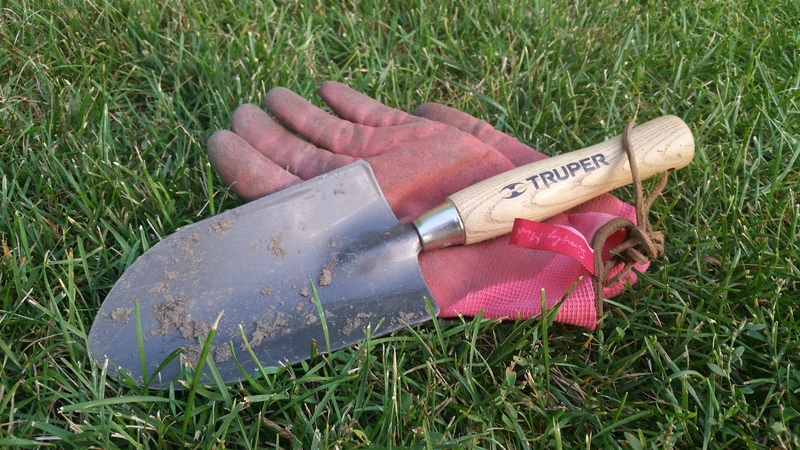 One thing we don’t think about often enough when we are anxious to get our hands back into the dirt is getting ourselves in shape for all the digging, shoveling, pruning and hauling that we will be doing. And now could not be a more perfect time! 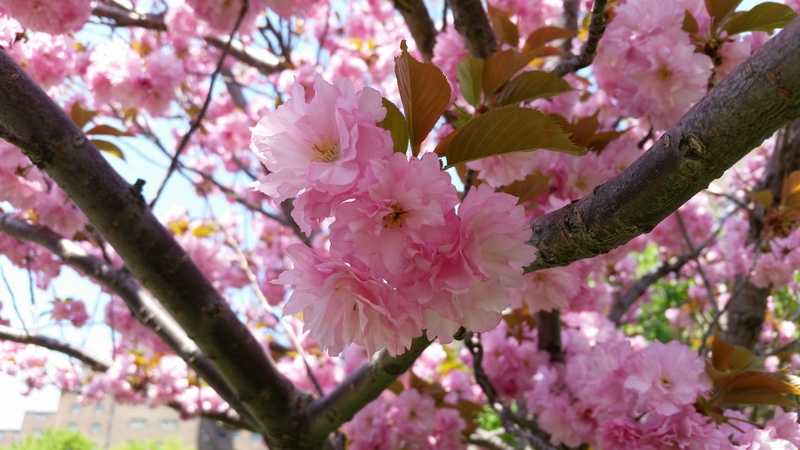 Spring is just 18 days away, and even though its hard for most people, exercise is important for everyone to do in order to avoid serious injuries in the garden.Take it from me, I know first hand what its like to have a major injury take you down in just one unnatural bend of the back, and be down for a month, at least. So, here are some exercises you can do now that will get you limber for the garden this year! Stretching – I have been an exerciser for over 15 years. I have done everything from running to Tae Bo (remember that?). Now that I am, uh-hum, 35, I have had to change the way I exercise in order to compliment my aging body. And one of the ways I have changed is by taking stretching seriously. bird dog- get on all fours and stretch your left arm out and your right leg out. Bring them in close to your body and stretch again. For starters, do 5-8 on each side. lay on your back and bring your left leg up to your body and “hug” it – hold these poses for 30 seconds and switch to the other side. Do 5 reps per side. bicycle crunches – put your hands behind your head and bring your left elbow up to your right knee. Do 10 reps on each side, and work your way up to 20 reps per side. Walking— is low impact and effective. If you are new to exercising, just walking around the block and gradually making your way up to a mile and more can give you significant health benefits. But make sure you are walking at an uncomfortable pace– a pace where it is hard to talk. You need to push yourself in order to get benefits from any exercise. Strength Training — lifting light weights is so important to building and maintain strength when gardening. You can purchase a pair of 3-5 pound weights and it can do wonders for your health. The more you lift weights now, the easier it will be to carry bags of mulch later! You can find many weight training programs in health magazines, as well as online. Core Training— they don’t call your core your “powerhouse” for nothing. My weak core is the reason for my lower back muscles getting pulled three times in a year. Core training is the most important exercising you can do for preparing for the gardening season. Ask your doctor for a few good ones, but the one I like the best is the plank. Protect Your Knees — use a knee pad and practice safe lifting to avoid hurting your back and knees! Never put more weight in your wheelbarrow than you can handle. Use your arms to push your wheel barrow instead of your just putting your back all into it! Lift with your knees and your weight even distributed when lifting. Doing these things now will help you get around your garden much easier later on!